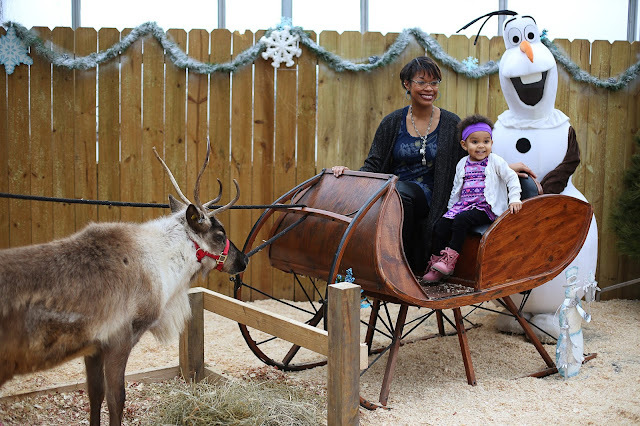 What could be better than sleigh ride accompanied by a snowman? Have you seen the movie Frozen? I've only seen it once and my daughter Ruby has never seen it. 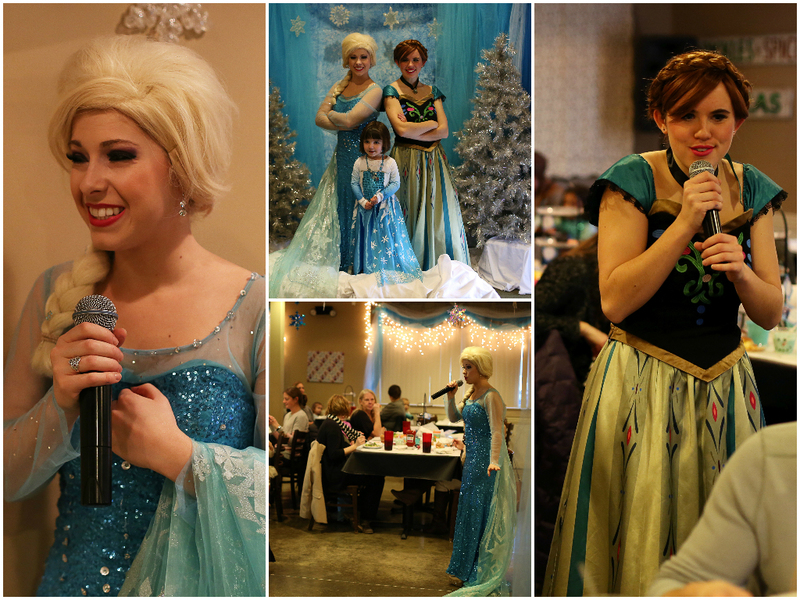 Yet, that didn't stop us from having a blast at Eckert's Farm in Belleville, IL for the "Dine With Anna and Elsa" lunch! 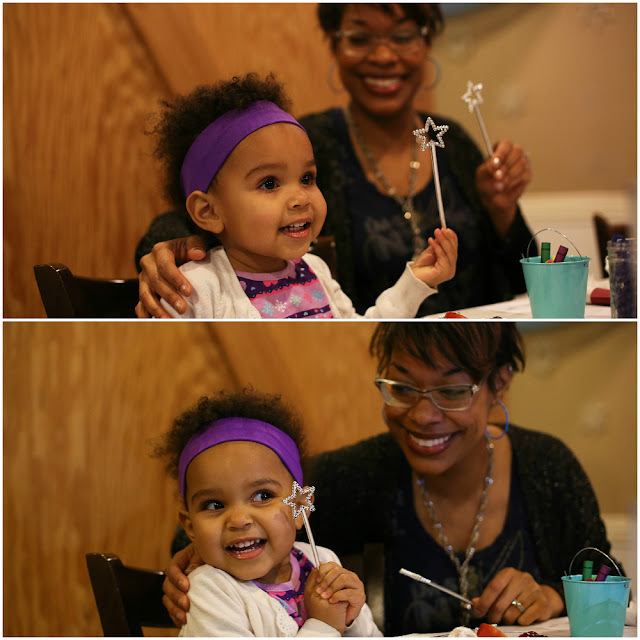 While my family and I attempted to dine together in the Country Restaurant (with an extremely active 2-year old, that lasted for about, oh, 5 minutes), the two glorious sisters entertained guests with popular songs from the movie. While she sat obediently in her booster seat, Ruby munched on the snowball-like powdered donut holes and the blue ice cream float. She was enchanted by Anna and Elsa's costumes, but after she realized it wasn't a show just for her, she pulled me out of the restaurant into the lobby to play with the multitude of toys. Luckily, we could still hear the music. And the nice workers gave us a box to bring home whatever we were unable to eat. We saw some kids getting their faces painted which looked fun, but the excitement proved too much for Ruby and we took her home. 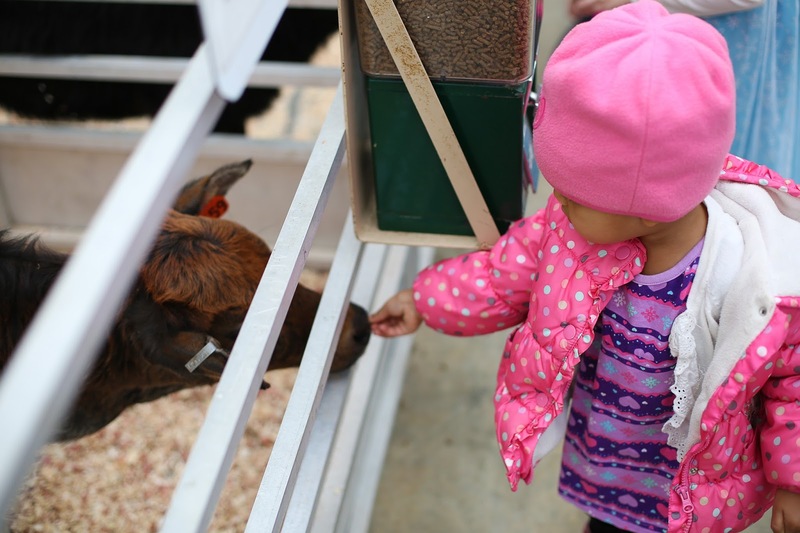 Despite the mini-meltdowns, the squeals of delight as Ruby saw the animals, princess, and queen assured us that she had a wonderful time. And, despite spending much of it running after her (par for the course with an adventurous daughter), so did we. The entire experience was chock-full of opportunities to make joyful family memories. Want to bring your little ones to join in on the fun? Register here. 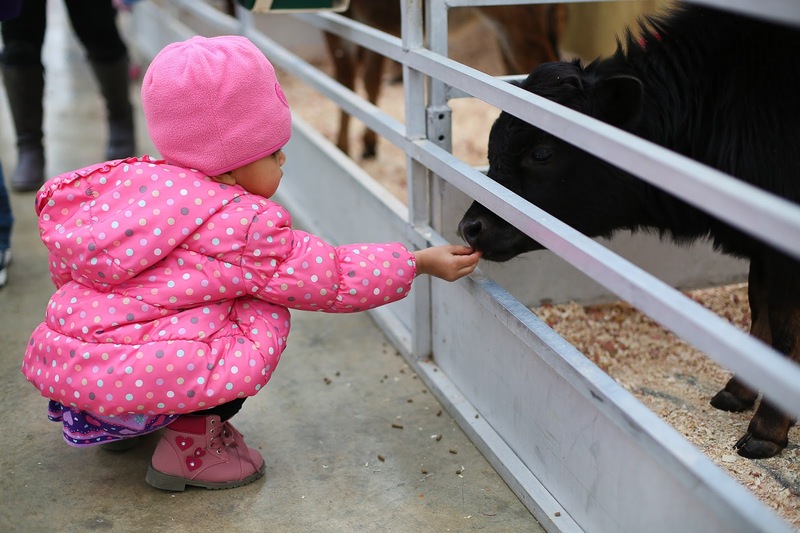 Have you been to Eckert's Farm? What did you think? 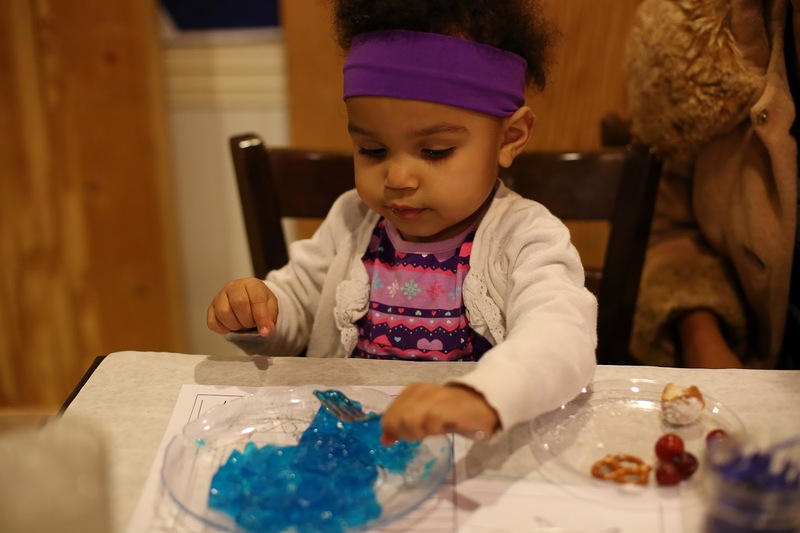 Blue jello is always a hit. P.S. 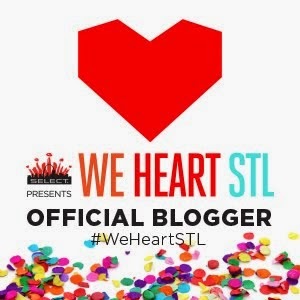 Thank you to Eckert's Farm and the Midwest Influencer Network for sponsoring this post. Awesome and superb post.. I really like you put in.. Thanks for sharing..